Classic studies, the newest works, and a few novels on labor and gender and the institutions of slavery in the United States. 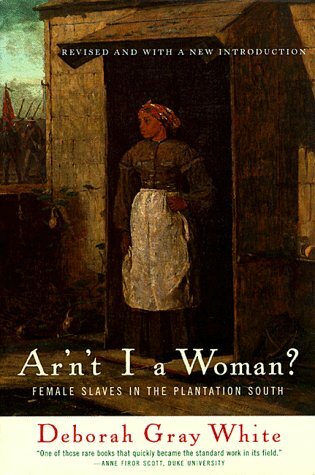 Deborah Gray White’s book, Ar’n’t I a Woman? (1985) broke new ground in the field of slavery studies. 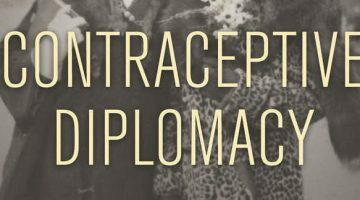 The book ushered in the beginnings of well-focused and sustained attention to the lives of American bondwomen. White takes on enduring stereotypes of black women that have their roots in racial slavery. She locates the origins of the mammy and Jezebel myths, for example, and thoughtfully discredits them both. By exploring the interior and workaday lives of slave women, White reveals the complexity and dynamism of southern plantation slavery. This short, yet powerful monograph remains the obvious starting point for anyone interested in the lives of enslaved women. 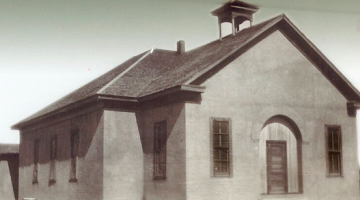 Brenda Stevenson’s Life in Black and White (1997), is a microhistory of Loudon County, Virginia from the revolutionary period to the Civil War. Stevenson reaches across the color line to explore how a diverse mix of people lived among each other in this old southern town. Tackling a variety of issues—from ‘race,’ gender, class, family and politics—Stevenson challenges much of what we thought we knew about the inter-racial dynamics of southern living. Her treatment of enslaved life, however, is the crown jewel of this work. Stevenson revises almost everything we thought we knew about family life among US slaves, by showing us that the nuclear family was both impractical and less than ideal for many slave families, particularly since the institution of slavery did so much to destroy what small possibilities existed to build strong, enduring black families. Life in Black and White also provides an excellent model of scholarship for students, especially those interested in producing regional studies on slave life. Jennifer Morgan’s Laboring Women (2004) is a highly original study of the construction of racial and gender ideologies in the Americas. 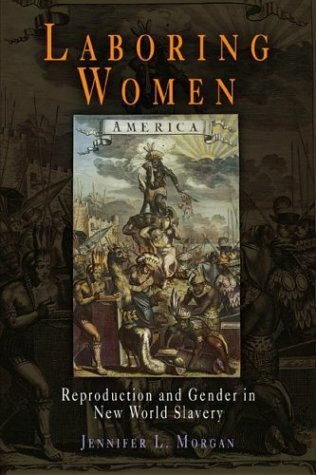 By examining the lives of enslaved women in West Africa, Barbados, and the early British American colonies, Morgan reveals the interconnected, mutually constitutive nature of gender and racial formations. She reminds us that enslaved women were ultimately valued for their physical labor and for their reproductive capacities. Morgan also illuminates the interior lives of bondwomen and concludes definitively that their ability to provide “double labor” was central to their exploitation. This work provides an excellent example of how a solid theoretical framework can offer new and fresh ways to examine slavery, gender, and race. 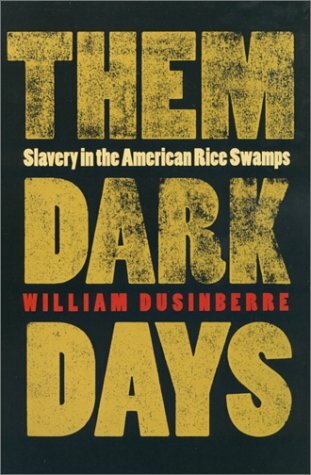 William Dusinberre’s well-researched study, Them Dark Days: Slavery in the American Rice Swamps (2000), examines slave life on three large rice plantations in coastal Georgia and South Carolina. Its detailed archival research and well-exectued comparitive history offers a fine study of both slaveholder and the enslaved perspectives about life in antebellum America. 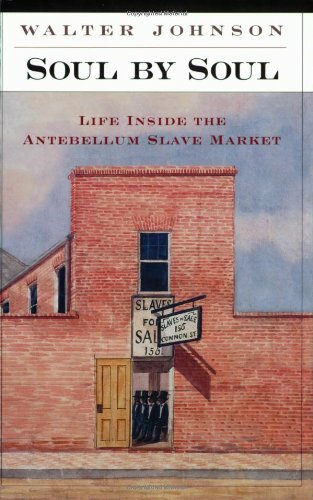 Altogether, this work is important because Dusinberre emphasizes the harsh, often-ignored exploitative side of American capitalism and the ways it negatively affected the lives of the enslaved. Them Dark Days forces a reconsideration of the scholarly obsession with ‘agency’ in slavery scholarship, as it shines a light back onto the pervasive brutality of American slavery that disappeared from some more recent accounts. 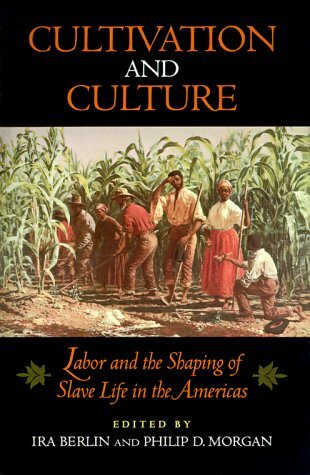 Ira Berlin and Phillip Morgan, Cultivation and Culture: Labor and the Shaping of Slave Life America (1993). The introductory chapter of this edited volume on slave labor and culture by seasoned historians Berlin and Morgan outlines a strong case for the centrality of labor to studies of slavery. This introduction is a must read for anyone interested in the ways labor helped define the contours of enslaved life and contributed to the growth and expansion of slavery in America. 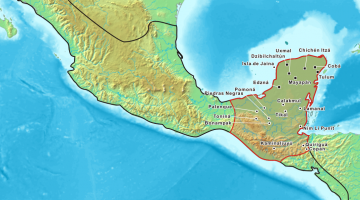 It also provides a rich, though abbreviated, general history of slavery in the United States. Walter Johnson’s Soul by Soul (2001) shifts our gaze from large southern plantations and farms and takes the reader on a harrowing ride inside a New Orleans slave pen. These pens, where the enslaved were appraised, bought, and sold, provide a fresh look at the inner-workings of slavery and capitalism. Johnson shows not only how slave sales ruptured black families but also how the institution of slavery tampered with the psychological and moral core of slaveholders themselves. In this three-way saga between the enslaved, the buyer, and the seller, Johnson also illuminates how each group played an important role in the meaning-laden spectacles of human consumption. Novelist Valerie Martin transports her readers to antebellum Louisiana in this dark and often violent look at the corrosive effects of slavery and patriarchy in one woman’s home. 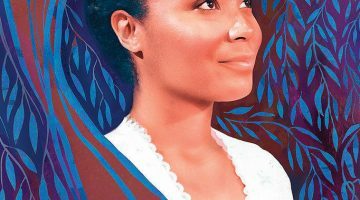 Manon Gaudet, the white protagonist and mistress on a Louisiana sugar plantation, finds herself at odds with her abusive and philandering husband. Manon, childless herself, comes into daily contact with Sarah, an enslaved woman who produces two children with Manon’s husband. Not only is Sarah the Gaudets’ slave, she’s a live-in domestic. For this reason, Manon and Sarah endure a volatile relationship, largely as a result of Manon’s husband’s infidelity and Sarah’s inconsolable anger. 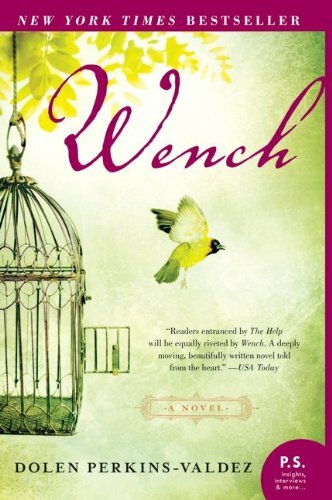 When a slave rebellion results in Manon’s husband’s death and her own injuries and widowhood, she engages for the first time in serious introspection about her family’s and her own complicity in the evils of slavery. This novel is a worthy read for those interested in the complex relationships between white slaveholders and their enslaved domestics. Marlon James paints the Night Women as six hate-filled enslaved women who are fed-up with the dehumanizing, brutal, and gruesome forces of slavery. 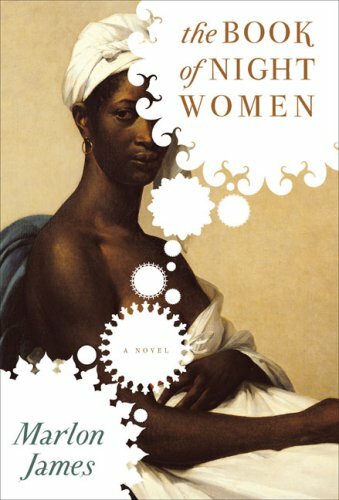 Set in nineteenth-century Jamaica on a sugar plantation, these women all find themselves deformed and debilitated by the perversity of the system. Hoping to gain their freedom and seek retribution for lives of turmoil, they meet clandestinely every night to plot a bloody slave revolt on the island. A story drenched in blood and the savagery that was slavery, Night Women attends to tensions among the women as well. Lilith, a green-eyed mulatto who strives to be anything but the commonly evoked tragic mulatto figure, often misbehaves and angers the other women in the group, but in the end, they appear determined not to allow internecine strife to obfuscate their larger aim. This story is powerful, suspenseful, and indeed violent, but it forces us to reckon with the everyday realities of some enslaved people in Jamaica and even here in America. Two films about slavery are reviewed on NEP’s WATCH page, here and here.